However, it turns out that what comprises as 4G connectivity differs greatly across the earth. 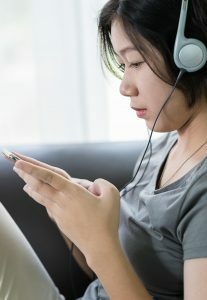 A network diagnostics company named OpenSignal today issued a report on the quality of 4G connections, presenting cellphone users get a vast range of qualities and connection speeds around the world. OpenSignal got this data through its app, which allows users to test the quality of the mobile network and WiFi they are using. The app continuously checks what type of connection a phone has to the network, like 2G, 3G, and 4G, and sends the info straight to OpenSignal. The information showed that even though Spain had the quickest average download speed, South Korea’s 4G networks were quite impressive. South Korea’s networks were some of the fastest and were capable of providing 4G connectivity over 90% of the time in the tests done on the OpenSignal apps. This means that South Koreans using mobile data only dropped down to 3G or 2G service less than 5% of the time. On the other hand, American networks were only able to provide 4G around 75% of the time. These average country rates also broadly vary by carrier. For instance, Spain had the speediest single network in Vodafone ES, but on the other hand, had one of the slower networks in Yoigo. While the range in speeds among countries indicates that there is no real accord on how fast 4G truly is, OpenSignal discovered that 4G speeds are on average still quicker than WiFi. The universal average speed conveyed to OpenSignal on WiFi was 4.4 Mbps, while on 4G it was 9.3 Mbps.